Classes on Thursdays at 7.45pm taught by Calum. 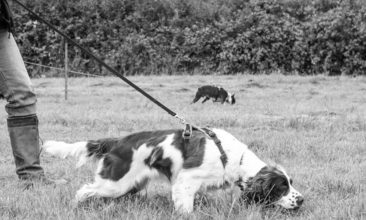 Our classes Beginners Life Skills classes are open to dogs of any age, as long as they are able to cope with a class environment. 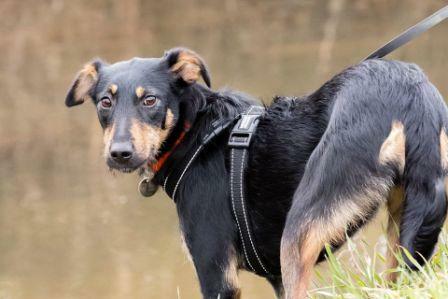 They are open enrolment which means you can start as soon as you want No waiting for a course to start; each class covers a specific real world topic, so you can learn how to work with your dog in situations you face on a daily basis. 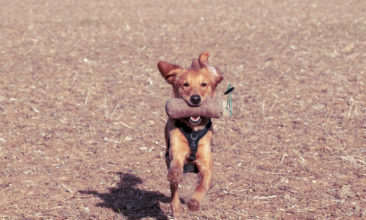 It doesn’t matter when you start or what order you do the classes – each class is designed specifically to support you and your dog to learn what you need. The course includes a copy of the book Helping Minds Meet by Helen Zulch, handouts for the class sessions, and a goody bag and there are no more than 4 dogs in each class. We try to use as much of our secure outdoor space as possible so you practice what you’re learning in the real world too. If you would like to watch any of our classes before booking then that’s great – just let us know so we can set aside some time to chat to you on the day. If you are unsure if your dog is suitable for a class then please contact us to discuss before booking. Buy your package of classes now via this link and then book your sessions using the link on your package confirmation screen. You can check when we have spaces for you to start by clicking on your preferred date below. What I learnt is to listen and respond to my dog - this has been completely transformational. I really didn't like my dog and couldn't imagine ever liking him before Developing Dogs helped us. At best I thought I would tolerate him as the first year of him living with us had been largely miserable. He's now 2 years old and we all adore him and dog ownership is a delight. I'm sure all of this comes from the techniques Developing Dogs taught me, but also the deep respect that they show for both dogs and owners! I never felt judged or belittled, only encouraged. We all love our dog and it's such a joy and a privilege.